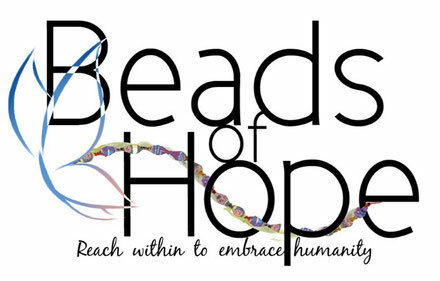 The Beads of Hope project supports Set Her Free, a non-profit group working to remove young girls in Uganda from child labor and prostitution by providing them with shelter and education. Much of the funds are raised through the sale of bead bracelets, necklaces and earrings made by the Ugandan girls. TO SPONSOR A GIRL IS TO GIVE A LIFE – TO EDUCATE A WOMAN IS TO CHANGE A VILLAGE! Set Her Free empowers young women of Uganda, formerly imprisoned by and at risk of sexual exploitation and child labor, by providing a safe environment, education, professional training and rehabilitation. With these provisions they are receiving hope, love and freedom. PLEASE SPONSOR A GIRL AND GIVE HER AN EDUCATION, THEREFORE, A LIFE. Your sponsorship provides a girl with meals, boarding, school and exam fees, uniforms, books, field trips, and medical care. WE THANK YOU FOR LOVING OUR GIRLS! Click here to view a Powerpoint Presentation. Alexandra was born to a young mother who was a student and because of conception, had to drop out of school. Her mother blamed her baby for this and rejected Alexandra at birth. She was raised by her grandmother. Alexandra suffers from very low self esteem and the ongoing pain of rejection. She was very much at risk for sexual exploitation as she only dreams of having enough money to go to school. She was referred to SHF for care and support and awaits a sponsor to help her to continue her education. Jackie is a 14 year old girl who currently cares for herself and her 2 younger siblings alone. Her parents left their children to be cared for by the older sister. The older sister had AIDS and Jackie cared for her until her death. Jackie had to leave school because of no funds to pay her school fees and no one to care for her siblings. She has suffered physical abuse by her father. Jackie was referred to SHF and is now training in the hairdressing school but her passion is to go back and finish her education. Juliet’s parents separated and remarried, only to leave Juliet and her younger brother alone to fend for themselves. After abandonment, Juliet had no more money to pay for school so she learned farming in neighbors' gardens to feed herself and her brother. With this money, Juliet was paying for her brothers school fees. She is passionate about completing. SHF is mentoring her until she is sponsored and put back into Senior school to graduate and find work to support herself and her brother. Ruth came from a very poor family whose father was an abusive alcoholic. Her mother could not afford to put her in school so, for a while, she lived with her uncle and did chores in trade for school fees. After a misunderstanding, Ruth was thrown out of the house. She then moved in with a friend in a small room and sold food on the streets of the slums and in the brothels. She is now living at the SHF home and fulfilling her dream of finishing school. She awaits a new sponsor to help her.